There are two main categories of meditation: focused attention and open awareness. In this post I’ll explain the difference between the two, and cover some other related types of meditation you might have come across. In this type of meditation, the goal is to keep the attention focused and nothing else. So if you were to stare at a candle, or repeat a mantra, you would just engage the mind in that practice. The more you practice, the better you will become at zoning in and the fewer distractions and lapses in concentration you will experience. A subset of focused attention meditation is Samatha meditation, which is commonly done through mindfulness breathing. Participants pay attention to the sensations of inhalation and exhalation without forcing attention. The idea is to simply observe the natural breathing process with gentleness. Focus on a tree, the horizon, a candle, any single object. Also called open monitoring or non-directive meditation, this style of meditation is the opposite of focused attention. Instead of concentrating on something, your attention is open and remains aware of everything that is happening. All experiences are perceived as they happen, with a goal of remaining non-judgmental toward oneself. Instead of getting caught up in a thoughts or feeling, the practitioner is instead encouraged to simply witness everything and be present to whatever is happening. The beauty of meditation is that it’s for all ages. How Do Focused & Open Meditation Affect the Brain? It has long been thought that meditation has many positive benefits. And numerous studies have made some interesting discoveries. It’s useful to look at the scientific research because it can help us decide which type of meditation is best for our goals. For example: do you want to increase focus and sustained attention span? Or do you want to improve creativity, or problem solving? One study on focused attention meditation, open monitoring meditation, and loving kindness meditation – which incorporates elements of both focused attention and open monitoring meditation – tried to find out the effects of these kinds of meditation on cognitive processes. Although it is unclear exactly how the meditation affects these processes, the study found that different meditations were connected with neural structures and electroencephalographic activity. Those who participated in 3 months of intensive Vipassana meditation had a broader attentional scope. Meditators were able to pay attention better and monitor events more accurately. OMM meditators were able to perform better on sustained attention tasks than focused attention meditators. Vipassana meditators who performed auditory tasks both before and after meditation had greater amplitudes to tones which is thought to illustrate better attention and engagement during a task. Several studies showed support for the thought that focused attention meditation encourages better focus and increases sustained attention. 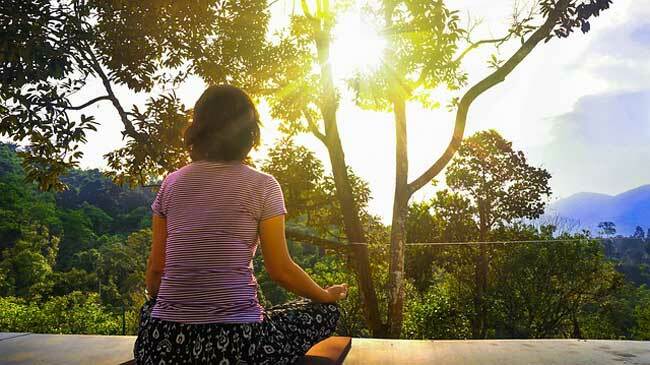 Experienced meditators were found to have more connectivity to the right insula, a region of the cerebral cortex, which researchers believe may enhance awareness of bodily states. Theta brain activity is increased during meditation. Meditation also seems to improve the connectivity between attentional networks in the brain. Integrative body-mind training (IBMT), a practice similar to open monitoring meditation, resulted in improved conflict resolution. Participants in a 6-week focused attention meditation training who were asked to complete a task had fewer errors than the control group and has less emotional interference. However, one study in particular focused on the impact of focused attention and open monitoring meditation on creativity tasks which use convergent and divergent thinking. The researchers found that these types of meditation did have an effect on creativity. Mindfulness meditation is a common term you’ll hear. It is a unique blend of both focused attention and open monitoring meditations. Techniques from both types of meditation are used to help remain aware but non-judgmental of whatever is experienced. When practicing mindfulness meditation, you would choose something to focus on and continue to put your attention on that. However, instead of focusing on that one object to the point of excluding everything else around, you would remain aware of your surroundings. As you focus on the object, you have a peripheral and internal awareness of different sensations, thoughts, and feelings. Then, as those things drift into your consciousness, you simply observe them without getting carried away or caught up in thoughts. You also refrain from judging them and simply accept them as part of the experience. Another type of meditation that draws from both focused awareness and open monitoring meditation is called loving kindness. This meditation is focused on cultivating love and compassion for oneself and then extending those feelings to others. Loving kindness meditation can induce positive feelings of warmth, happiness, and joy in a person. After developing a loving feeling toward oneself, those benevolent wishes are extended toward friends, family, acquaintances, colleagues, and then to all of humanity. Wishes of peace, calm, and well-being can also be expressed toward living things such as plants, animals, trees, and the Earth as a whole. It is suggested to start by visualizing a person that you are very close to and have strong feelings for such as a spouse, parent, child, or good friend. This will make it easy to feel gratitude for that person and arouse a sensation of love within you that you can build upon. During the meditation practitioners often focus on their breathing while also visualizing that they are exhaling out stress and tension while breathing in feelings of peace and love. You could say that reaching the state of effortless presence is the goal of all forms of meditation, though starting out with focused or open meditation is the pathway to this effortless presence. This refers to a state where your attention is not focused on a particular object, thought, or sensation. Instead, there is simply a quiet awareness that is experienced, free from any mental commentary or distractions. Forms of meditation that require you to focus or silently observe are simply a means of training one’s mind to remain calm and still. Ultimately, you will gradually begin to enter this state of “no mind” or effortless existence. Now that you’ve read about some of the positive effects of meditation, you may want to start your own practice. But which type of meditation is best for beginners? It is often recommended that those new to meditation start with a focused attention meditation as opposed to open monitoring. Focused attention helps the practitioner to bring their mind to a state of stillness. This is helpful for beginners because it can be effective in preventing distractions from arising. If a distraction does arise or the mind wanders, the attention is simply brought back to the object of awareness once you realize you have lost focus. Repeatedly engaging in this type of meditation will improve concentration and gradually minimize distractions. Then, after you have built up your awareness, you can move on to open monitoring meditation more easily. The attention that has been created through focused attention will benefit the process of open monitoring as you allow all sensations to rise up inside and then pass through without reacting to them. If the mind starts to wander, attention is gently brought back to the positive feelings. Once the meditation ends, the practitioner can return to the memory of these good sensations throughout the day as needed (3). If you haven’t read my Easy Meditation Guide I suggest doing that next. It also contains a brief summary of focused and open meditation but also provides practical steps on how to start meditating immediately.